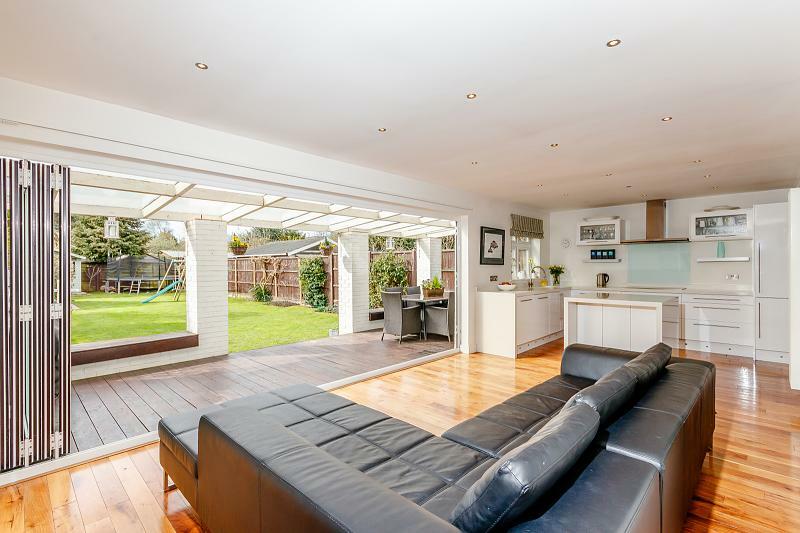 Brilliant opportunity to acquire a lovely and spacious 1930s style three bedroom family home. 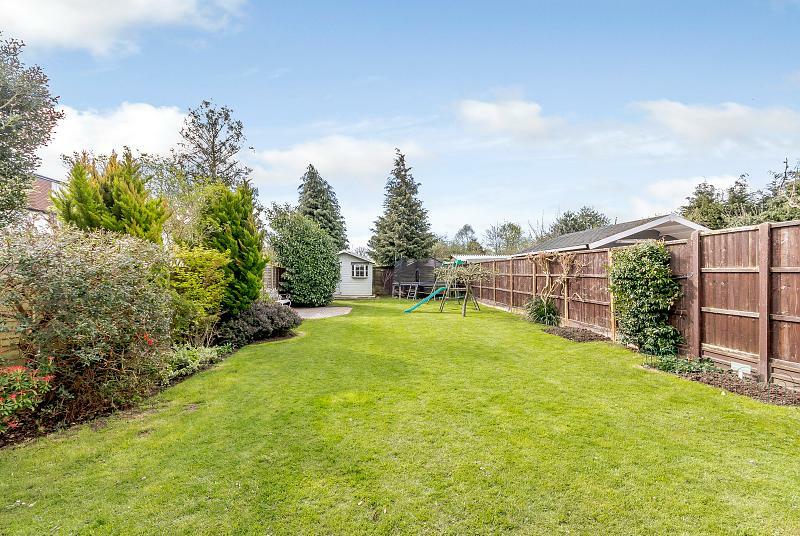 This property is ideal for a family, offering three bedrooms, two of which are substantial doubles, the second and third bedroom having bay windows, creating further space and light. 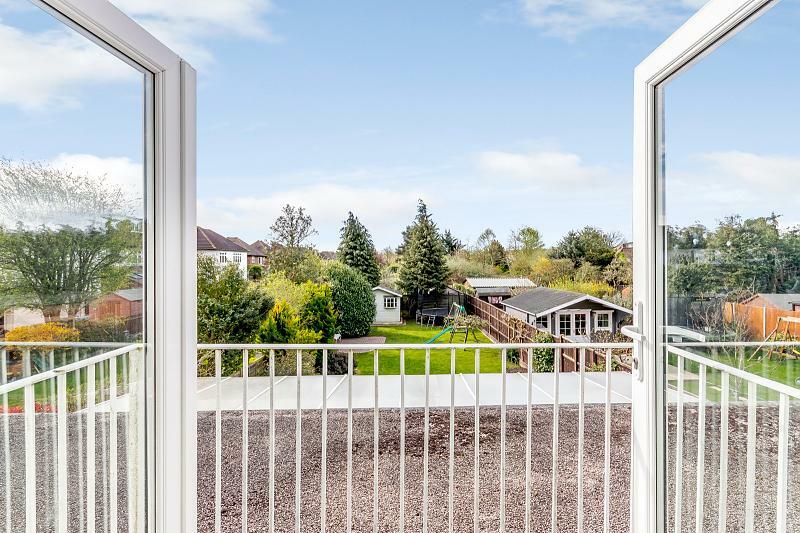 The master bedroom benefits from having fitted wardrobes and double doors leading onto a balcony, a perfect spot to enjoy the lovely views over the large south facing garden. On the ground floor as you enter the property the main reception room is to your left, this is a wonderful room with a bay window, ideal for relaxing with the family or for a more formal occasion. 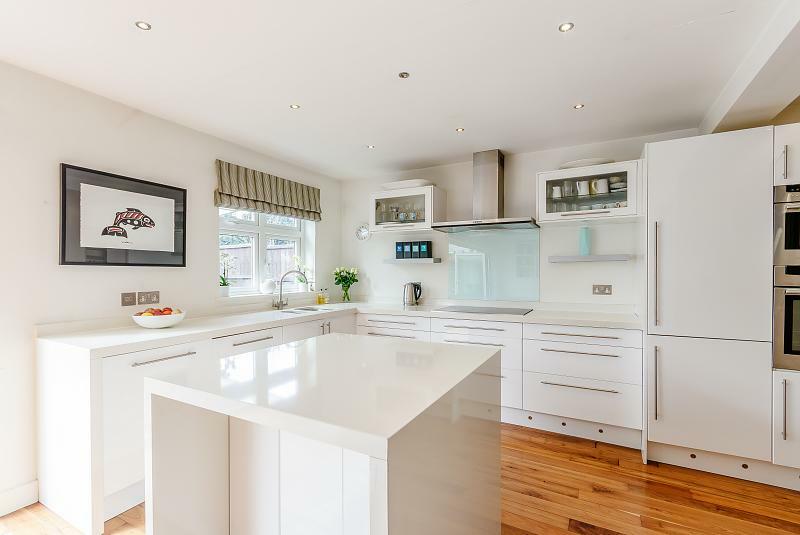 The open plan kitchen/ entertaining space with this home is phenomenal. The modern, stylish and well-appointed kitchen opens to a more informal family room/ seating area, this room opens into the dining room and also to the extended outdoor entertaining and BBQ area, a perfect layout for family living.This lovely home also benefits from a large paved driveway and attached single garage. 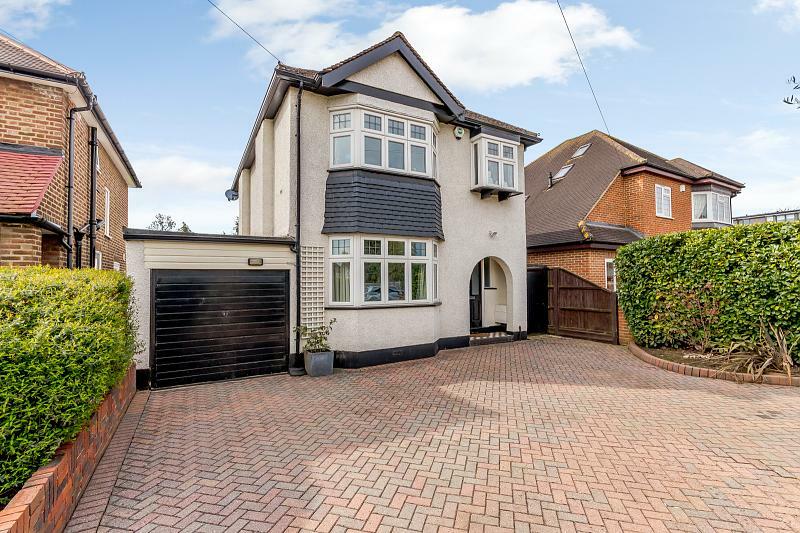 Internally the property also has a separate study, downstairs WC and utility room and a large family bathroom with double sink, separate shower and bath.